In Barton’s presentations, any statement uttered by a Founding Father that is positive toward religion is used to show that they were all Christians and that they all intended the United States to be Christian. He makes little distinction between a statement supporting the basic moral program of Christianity, something even the unorthodox Jefferson could say, and one that would actually affirm the historic tents of the Christian faith that made it unique, such as the incarnation, death, and resurrection of Christ. actually redeemed by the blood of Jesus Christ, a notion that evangelical theologians would find repugnant? . . .
[Barton’s] methodology tends to incorporate source mining, the technique of scouring the record and culling out only that evidence that fits one’s argument. In fairness to Barton, he has gotten better in recent years in not circulating as many bogus quotes, labeling some of them as “unconfirmed.” However, the source mining and the problematic historiography, where the evidence is forced to fit the predetermined thesis, continue. 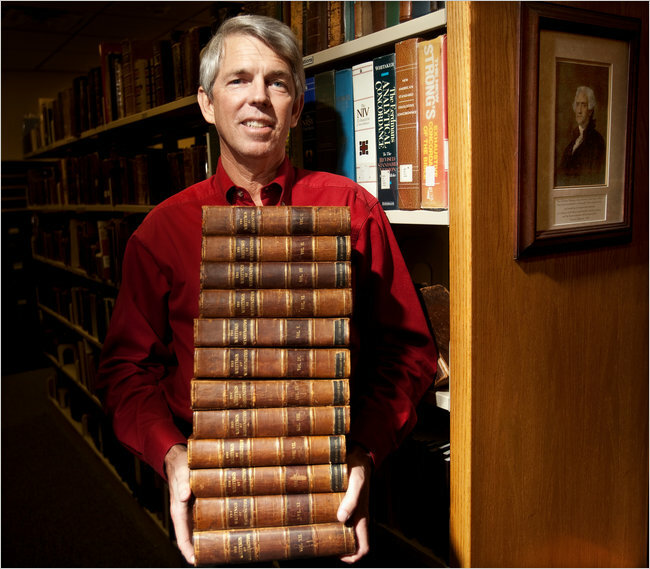 In 2012 Thomas Kidd covered the Barton controversy for World Magazine, as publisher Thomas Nelson pulled Barton’s book for historical inaccuracies. Always seek to identify the question being asked. In other words, don’t just listen for the answer, but work hard to discern the actual question under discussion, whether assumed or explicitly identified. So, if the question is, “Did the Founding Father employ religious language when describing the founding of the Republic?” then you can easily determine if the evidence answers that question (assuming the quotes are legitimate—several of Barton’s are not!). But this is a very different question than one like: “Were the Founding Fathers orthodox Christians who lived in accordance with God’s Word, both theologically and ethically?” In that case, our criteria have to expand beyond the kind of language they used. David Holmes, in The Faiths of Our Founding Fathers—summarized here by Joe Carter—suggests that we can look not only at things like their religious language, but also their beliefs, their activities (did they attend church regularly? ), and their participation in church ordinances and sacrifices (did they baptize their children or partake of the Lord’s Supper?). My point in posting this is not to say that Holmes’s conclusions are definitive or cannot be challenged, but simply to show what a more sophisticated and careful analysis can look like. To reiterate: our answers will only be as good as our questions, so it’s important that we come to this study with an open mind, seeking to ask the best questions so that we can arrive at answers that correspond with reality. 1:20 What is the origin of the idea of “Christian America”? 3:15 How did America come to be seen as having Israel’s role in this understanding of American history? 5:15 Are the founding documents religious? 7:25 What can we say about the faith of the founding fathers? 10:35 Why does a book like The Search for Christian America vastly undersell the Christian America books? 13:15 What do Columbus’s encounters with the Natives tell us? 15:05 Where does the desire to make them more than they were come from? 16:55 How do they treat the unsavory parts of American history? 19:15 What kind of America would the defenders of a “Christian America” like to see now? 20:55 Are there dangers in promoting America as a Christian nation? 22:35 What would be a more unifying vision? 23:50 Can you give examples of where this has worked?